Ah yes, a rainfall of sweet Vanilla. Lovely. I can't say I'm too impressed with him pushing her away just because he was a little scared, but I guess I can empathise a little. At least he managed to eventually face his feelings for her, after a bit of a push...Or rather, her literally coming onto him. Great ending though. Much respect to the guy for actually apologising for the way he treated her, and she seems pretty willing to forgive him, so all is well and I definitely wish the best for this couple. Considering the rain, I suppose in this case, mother nature was being a great wingman. I was so engrossed I just read it, that ending was so pure. Great first release by this Artist in Fakku. Loved it. 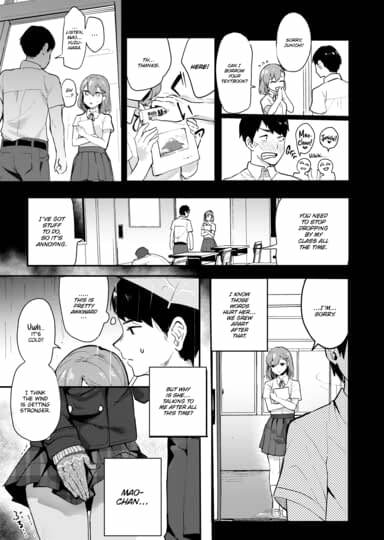 Although I gotta comment on the MC set up, I've always hated it when MCs get all flustered when classmates make fun of them for having a girl that always around them like a ring, like come on man, own it, to have a girl follow you around is every's man dream... Or so id like to think. 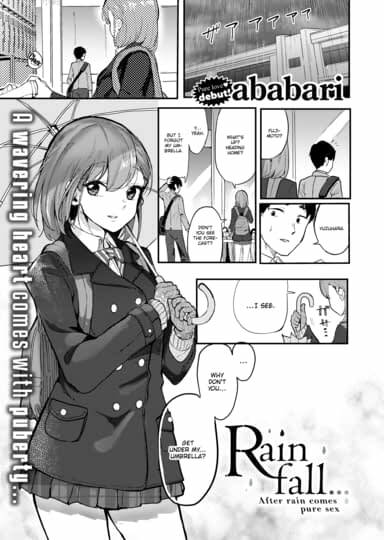 This is a great FAKKU debut for ababari and one filled with lots of sweet vanilla. I am looking forward to seeing more from this artist in the near future. 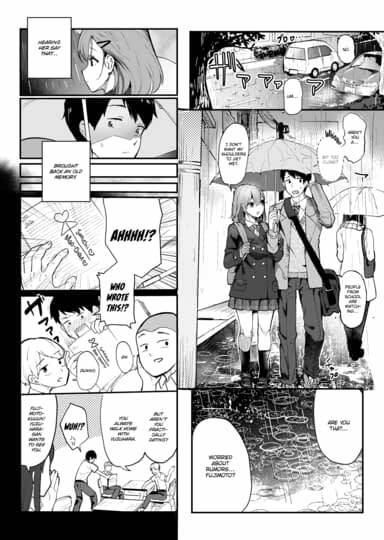 With all these soft MC's we see. I wonder if all Japanese men are cowards. That was a wholesome debut from Ababari! What Fujimoto's classmates started some time ago (the 'umbrella' drawing), Nature finished in splendid fashion. ♥ Virgin Pervert run amok. Wanna do stuff you don't find in textbooks?